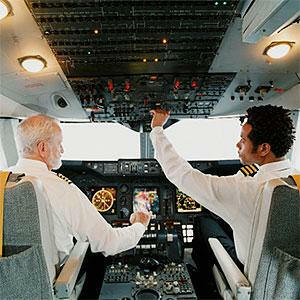 October 1, 2013 - American Airlines announced it is beginning the process to recruit and hire approximately 1,500 new pilots over the next five years, American's largest pilot hiring in more than a decade. American opened job postings on the first of the month with the first new-hire class expected to begin training this winter. American's ability to welcome new pilots is a result of its broad fleet renewal efforts that include taking delivery of new single-aisle Airbus aircraft and a mix of narrowbody and widebody Boeing aircraft, an expansion of flying to international destinations important to customers, projected pilot retirements and the Federal Aviation Administration's new rest and duty time rules that come into effect in 2014. Today's news reflects the measureable progress and momentum the airline has achieved through its restructuring, along with its strengthened financial position. "Today marks an important step toward a bright future at the new American" said Capt. John Hale, American's Vice President – Flight. "We're providing our current pilots with the strongest career advancement and growth opportunities in more than a decade, while continuing to build a premier airline and world-class employer they can be proud to fly for throughout their careers. “American takes great pride in the exceptional quality of our pilots, and we're excited to continue building our team through this selective hiring and recruitment process. We're confident that our proposed merger with US Airways will provide even greater opportunities for all of our people." American currently anticipates the need to initially hire approximately 45 to 50 pilots per month through at least summer 2014, including pilots from American Eagle Airlines, Inc. and the appropriate balance from external sources. The comprehensive hiring process will include an online assessment evaluating each pilot's skill set, experience and compatibility with American's brand values; interviews; and a multi-step background check process.